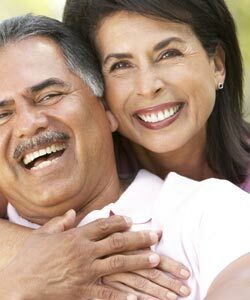 Adults are more likely to deal with advanced dental disease and have an increased risk of losing teeth if they are 30 years of age or older. As we get older, cavities are no longer the biggest threat to our teeth- periodontal disease is. Three out of four adults are affected at some time in their life with tooth loss or advanced damage to their teeth and gums because of periodontal disease. The best way to prevent this is by keeping up with good oral hygiene every day and getting professional dental cleanings done several times a year. In most cases, periodontitis is caused by plaque, that sticky film composed mainly of bacteria that accumulates when there are no good dental cleaning services available. It sticks to the teeth and gathers along the gum line. If left untreated, it can cause periodontal disease to spread rapidly and become much worse. Plaque forms on the surface of teeth and gums when starches and sugars from the foods we eat cause the bacteria in our mouth to multiply at a very rapid rate. Plaque will eventually harden into tartar if it stays on your teeth. Tartar is much more difficult to remove and creates hiding places for disease-causing plaque so you cannot brush off the bacterial plaque. This may lead to a great deal of damage to the gum tissue and bone. Plaque is one of the major causes of gingivitis. Gingivitis is marked by the irritation and inflammation that leads to sore and bleeding gums. Ongoing gum inflammation makes the infection spread deeper into the tissue and bone. This can in turn lead to bone loss and eventual loss of teeth. Plaque and tartar removal– Getting rid of plaque and tartar early on prevents the development of inflammation and keeps teeth and gums healthy. It also reduces the chance of bacterial infection setting in. A healthy smile– Prophylaxis is a simple yet very effective treatment for removing plaque bacteria, tartar and stains from the teeth. This can be done to restore a bright and healthy smile. Fresher breath- Halitosis, also known as bad breath, is caused by an abundance of bacteria in the mouth. Prophylaxis cleaning can help prevent this from becoming a problem. In any treatment plan for periodontal diseases, we emphasize the importance of removing plaque by daily brushing and cleaning between the teeth. Good oral hygiene is essential to help keep periodontal diseases from becoming more serious or recurring. In addition, we will want to see you more frequently and at regular intervals following a period of active therapy. This helps to assure that you are maintaining a satisfactory level of oral hygiene. It also gives us the opportunity to remove any plaque or tartar that may have accumulated before it causes more bone loss, and to check your mouth to be sure that your periodontal disease remains under control. At Loop Perio your maintenance intervals for our dental cleaning services are determined by your individual needs. One of the best ways to keep your teeth and gums healthy and strong is by getting professional dental cleanings several times a year.